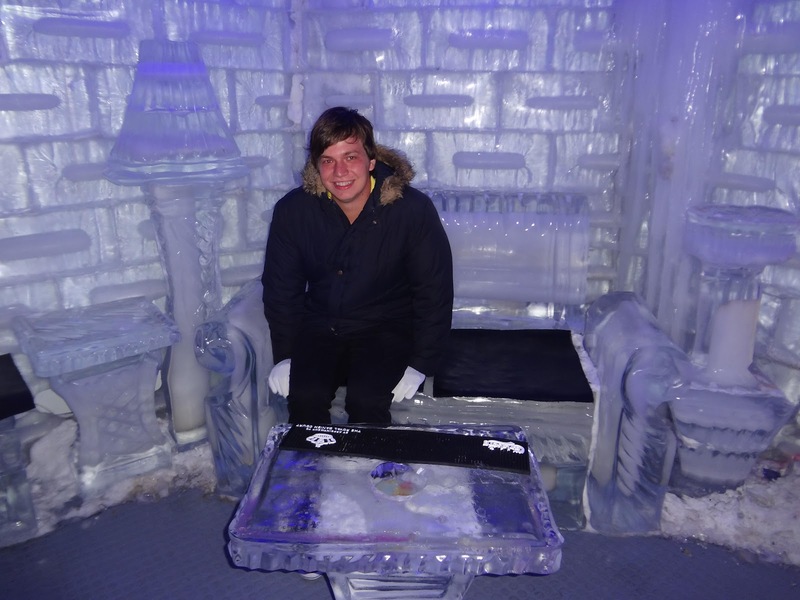 Sam's Thai Adventure: This is it! Bangkok!... is this it? This is it! Bangkok!... is this it? Bangkok. Gateway to south-east Asia. Good time-city. Where you can buy everything for every price. Where you can have a good time with a girl, boy or something in between. Where you can trade Thai Baht for counterfeit watches and goodies. Where there are at least a hundred foul reeking odors intruding your nostrils and exhaust fumes assaulting your longs. A city with 10 million people who don’t know the verb ‘to carpool’, resulting in huge traffic jams, men and women on motorcycles driving like crazy and Tuk-Tuks (local taxis) squirming themselves between cars. Welcome to the bright and busy capital of Thailand! Our first impressions were not at all positive. We checked in a very clean and cozy hotel and then we hit the streets. The most prominent thing in Bangkok is the traffic. You see cars, motorcycles and Tuk-Tuks everywhere you look. Because of the fact that traffic lights often don’t work and a pedestrian has fewer rights than a driver, it is difficult to cross a road most of the time. It took us a couple of days to work up the nerves to zigzag trough the traffic without taking too much a risk. Even though the taxi fares are quite cheap (by day, at night the prices skyrocket) we wanted to have the experience of riding along in a converted scooter that can transport up to 5 people. In other words: ride a Tuk-Tuk. There is one thing you need to know before you board one: make sure you have a life insurance. They drive like crazy, squeeze their vehicles trough the tiniest of openings and change lanes as often as you normally blink your eyelids. A cheap rollercoaster ride if you will. On our first night we went for a walk. Because we didn’t really have a clue where we were going, we let our instincts guide us. Turned out they failed us quite badly. We ended up in a sort of slums under a bridge. Not really the nicest place you want to be as a western tourist. We didn’t encounter any particular trouble but we were glad when we spotted our hotel in the distance. The following day we went on an arranged trip to ‘The Undefeatable City’ Ayutthaya. This used to be the capital of Bangkok until it was…well, defeated. A van came to pick us up in the wee hours of the morning only to let us wait for an entire hour for another van. When we finally left we dozed off because it was a 2-hour ride from Bangkok to Ayutthaya. 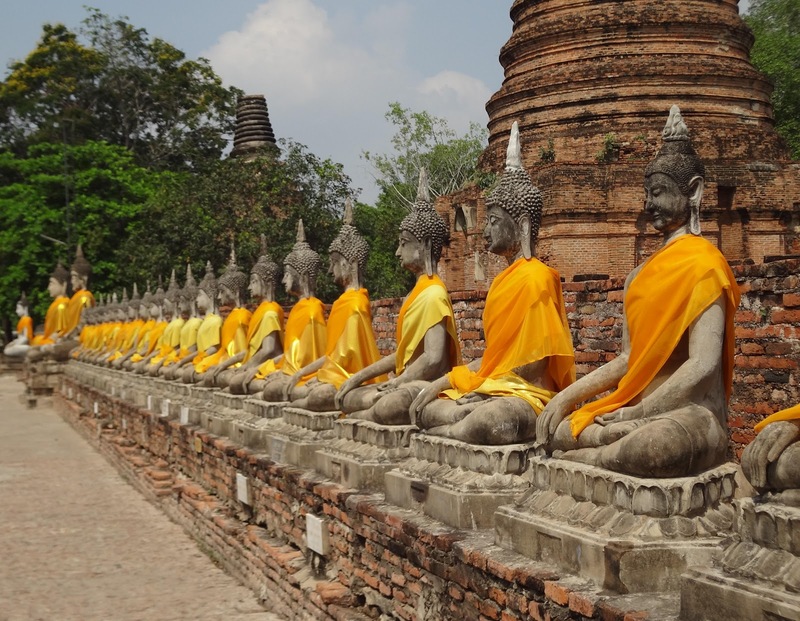 Ayutthaya is actually a collection of several temples and monuments spread over an entire city. Therefore, we saw the inside of our van more often than the inside of the temples we were visiting. 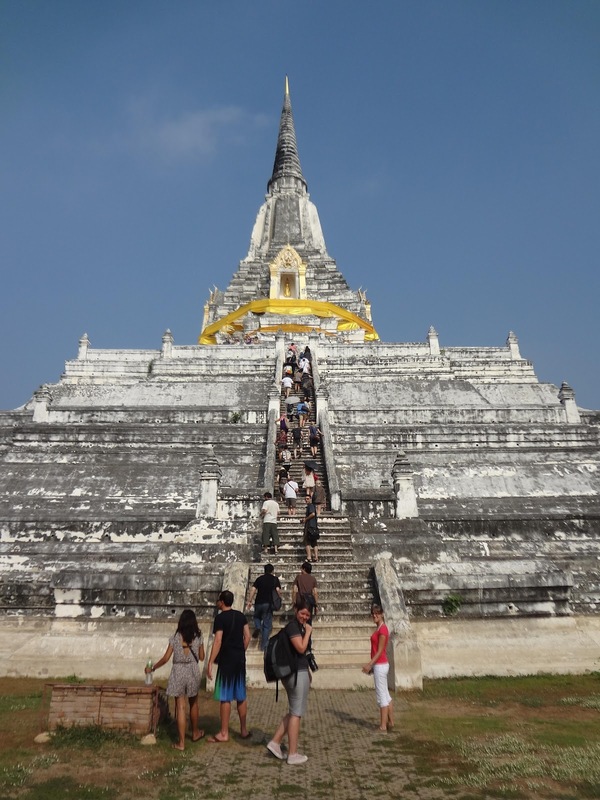 But at the end of the day, we were glad we booked this trip because of the many beautiful structures, temples and statues we were able to see. After a trip to the hospital to get my stitches cleaned up, we decided to take a stroll in the shopping district of Bangkok, Siam Square. Imagine ‘Het Waasland Shopping Center’. Now add six floors, luxurious boutiques, an entire floor dedicated to still a man’s hunger, a car vendor, and other outrageous things and you have Siam Paragon. The most beautiful shopping center I have ever laid eyes on. When we woke the following morning we wanted to take a cab to the National Museum of Bangkok. But since there wasn’t a single taxi driver who wanted to take us there (in Bangkok, the cab driver chooses his customers, not vice versa) we took the subway to Lumphini Park. We thought we’d encounter a nice little park but it turned out to be a huge one with streets dividing the trees and grass. After lunch we tried once more to find a friendly cabdriver and luckily, we succeeded. The National Museum was nowhere as impressive as say ‘The British Museum’ or ‘The Louvre’ but it held some interesting pieces concerning Thai history and religion. 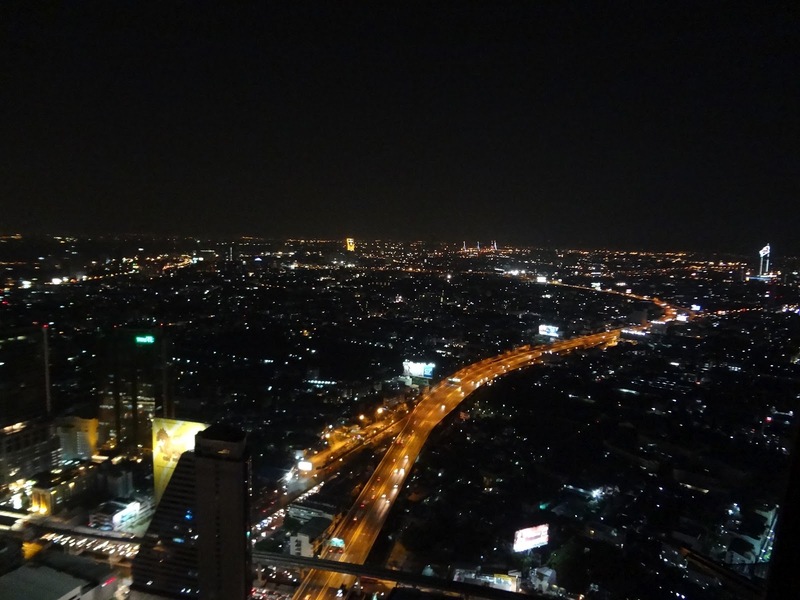 In the evening we put on our fancy clothes, pulled over a cab and asked him to take us to the State Tower, the second but biggest tower in Bangkok. 64 floors of luxurious rooms, two restaurants and Sirocco, a bar at the upper level of the building with a view that would blow your socks off. 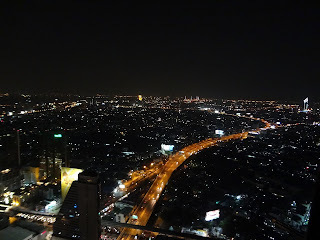 We had a (rather expensive) drink and enjoyed the beautiful skyline of Bangkok by night. After this, we went for a walk in the business quarter of Bangkok, Silom Road. After a couple of minutes we spotted something strange. It was a bar in the cellar of an Irish pub. It was called the ‘-5°C’ bar and because we have to miss the cold days and nights in Belgium, we decided to have drink in there. 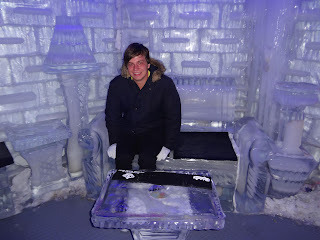 Even though we were the only guest there, it was a cool experience to sit on a bench of made of ice when the outside temperature almost reaches 40 degrees. The following morning we went on another arranged trip. This time, we went to see the floating markets and the Erawan Waterfalls. This was a 4-hour trip so we got back together with our former friend: the mini-van. When we arrived at the floating market we were kind of disappointed. Instead of seeing locals trading their wares in their long tail boats, we saw too many tourists browsing for souvenirs from their little speedboats. 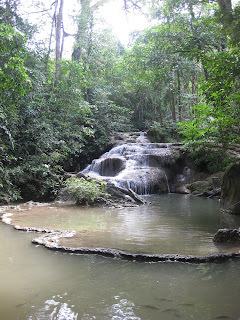 After a very nice lunch, we drove to the Erawan Waterfalls. These are situated in a National Park and consist of 7 waterfalls. Because time was not on our side, we were only able to reach the fifth waterfall in which we had a refreshing swim. 5 hours later we were back in our hotel rooms and slept like logs. Bangkok doesn’t have that much to offer but we had a good time exploring the nooks and crannies of its vast grounds. Ignoring the rodents, odors and Thai men spitting as they see fit, it’s a city you have to see, even if it’s only to say: “I’m never coming back again!” And don’t get me wrong, it’s not all that bad, but as you could derive from this entry’s title, we expected a bit more than this.